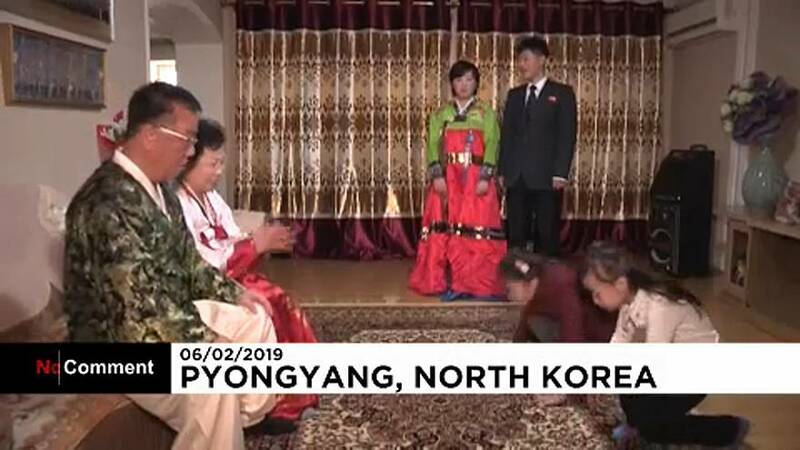 Dressed in the traditional "hanbok" attire, families in North Korea gathered to celebrate the Lunar New Year together. Like in South Korea, younger family members performed formal bows called "sebae" to elders and received gifts of money in return. They also exchanged words of blessing with each other and gave calendars as New Year gifts. People dined on rice cake soup, called "tteokguk", and hot pork soup with rice to mark the occasion, while some families headed out for dinner to celebrate the first day of the Lunar New Year.